It’s finally here fellow Duck fans, the college football playoff national championship game is today. Oregon vs Ohio State. Ducks vs Bucks. Modern vs traditional. However you choose to swing it, this game is going to be epic. As of right now, Oregon comes into the game as 5-point favorites. But according to ESPN’s college football twitter account, that might be a good thing for Ohio State. Since Urban Meyer arrived in Columbus in 2012, the Buckeyes haven’t lost a game when they’ve been underdogs. 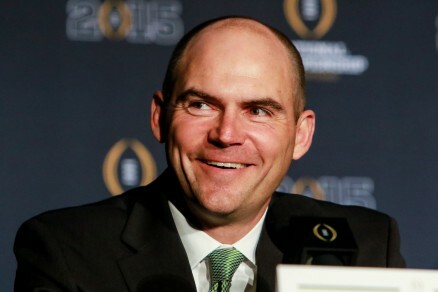 Mark Helfrich has lead Oregon back to the national championship game. 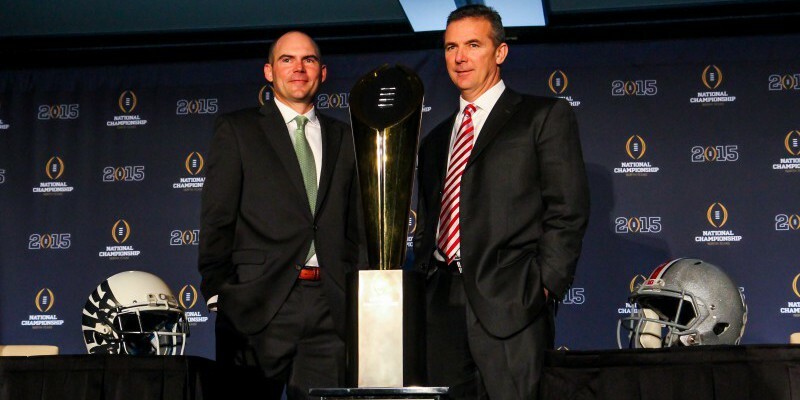 I must admit that I am a big Urban Meyer fan and supporter, but after this season, I’m a much bigger Mark Helfrich fan. I had the pleasure of meeting Coach Helfrich before last season while working on a school project with some friends on the football team. He was Oregon’s new head coach, I knew exactly who he was, but he simply introduced himself to me as Mark and extended his hand for a handshake. He was gracious, funny, and extremely down to earth. I was uncertain about his ability to lead the team as a rookie head coach, but after that day, I never had questions about his character. The Ducks went 11-2 in his first year, not a bad start to a coaching career, but people still questioned if he was the right man for the job. There was an obvious lack of motivation following the loss to Stanford, and Duck fans had aspirations for something greater than the Alamo Bowl. This year he delivered and his team was much more focused and driven. Even after an early-season loss, Helfrich motivated this team to keep their eyes on the ultimate goal – winning the school’s first national championship. Vegas may be in favor of Oregon, but the Ducks still have that underdog mindset. This is a team that not so long ago was lucky to win the conference, this is a team that wasn’t supposed to become a national power, and this was a team few believed to be legit national title contenders after last season. The Ducks are on a mission to prove everyone wrong. The underdog mentality is a part of who we are. History will be written tonight. Oregon could have its first national title if they can make Urban Meyer 5-1 as an underdog at Ohio State. With both teams playing their best football of the year at the most crucial time, this game could come down to which coach motivates his team the best. We believe in you coach Helfrich. Go Ducks.